The Naftali Group announced that the first closings are set to begin at 210 West 77th Street, the developer’s luxury condominium located between Amsterdam and Broadway on the Upper West Side. The building was very well received in the market and is 93 percent sold with just two residences still available. Naftali Group’s second luxury boutique condominium on the block, 221 West 77th Street, is more than 70 percent sold. The 25 residences are expansive half- and full-floor homes with open layouts. The solid white oak-plank floors highlight the uninterrupted flow of space. Select residences feature fireplaces and private outdoor terraces, and every residence is privately accessed by an elevator that opens directly into the home. Each residence is also appointed with custom kitchens, hand-painted white with mahogany interiors, made by acclaimed furniture maker Smallbone of Devizes. Master bathrooms are elegantly detailed with Bianco Dolomiti marble, custom wood vanities and Waterworks fixtures. The Naftali Group is one of New York’s most active real estate developers of residential, commercial, institutional, mixed-use and retail properties. Collaborating with leaders in interior design, architecture and construction, the group is committed to excellence in developing properties that are exceptional in their attention to detail, quality, sustainability and design. Naftali Group currently owns, operates and is developing 14 residential properties in prime neighborhoods throughout New York City made up of more than 1,000 units and approximately 1,337,000 square feet. 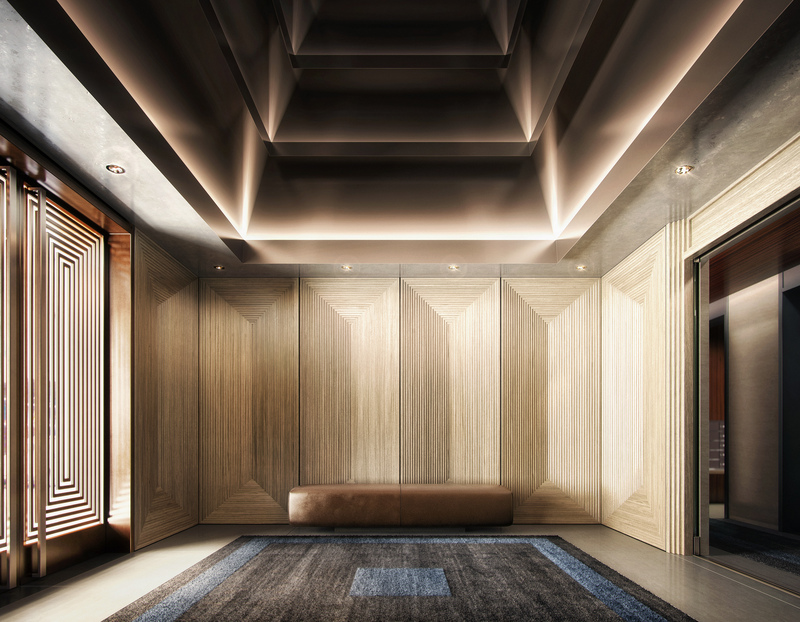 As a builder, owner and operator, Naftali Group’s portfolio includes 275 West 10th Street, 182 West 82nd Street, 210 West 77th Street, 221 West 77th Street, The Seymour at 261 West 25th Street, 234 East 23rd Street, The Arthur at 245 West 25th Street, The Landmark Park Slope, 33 Beekman and other multifamily assets and investments throughout New York City. For more information please visit www.naftaligroup.com.